The key to success in the pharmaceutical industry is innovation. Despite stronger cost pressures than in previous decades, organizations are expected to innovate, develop new products and bring them to market at an accelerated rate. Surprisingly, many of the industry’s leaders are trying to navigate this complex and challenging industry with stale business models. Although science has consistently led the knowledge economy, its siloed nature, underfunding and linear processes have progressively reduced it to a transactional operation. With over 50% of today’s scientists born after 1980 and over 70% of existing labs more than 50 years old, the current and emerging R&D workforce seek new solutions. These highly collaborative, generationally diverse scientists are demanding radically new open source workplaces where the walls between disciplines are removed, the boundaries between discovery and commercialization are blurred and real-world problems are addressed in collaborative coexistence. Pharmaceutical companies looking to create R&D facilities responsive to “new science” may find a leading example from the world of academic medicine. 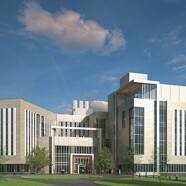 The Gates Vascular Institute and Clinical Translational Research Center (GVI/CTRC) in Buffalo, NY, is the result of a unique public/private partnership between Kaleida Health and the University of Buffalo (UB). 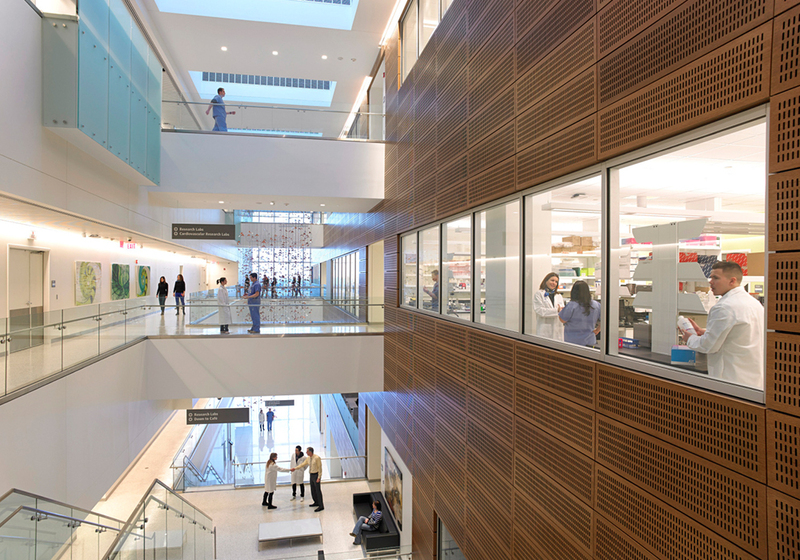 The first-of-its-kind facility stacks a research building over a vascular institute and connects them via a BioSciences Incubator to drive innovation forward. Since opening, GVI/CTRC has driven more than $130 million of economic impact, created new jobs, launched biomedical start-ups and helped both organizations recruit Tier 1 Placements. 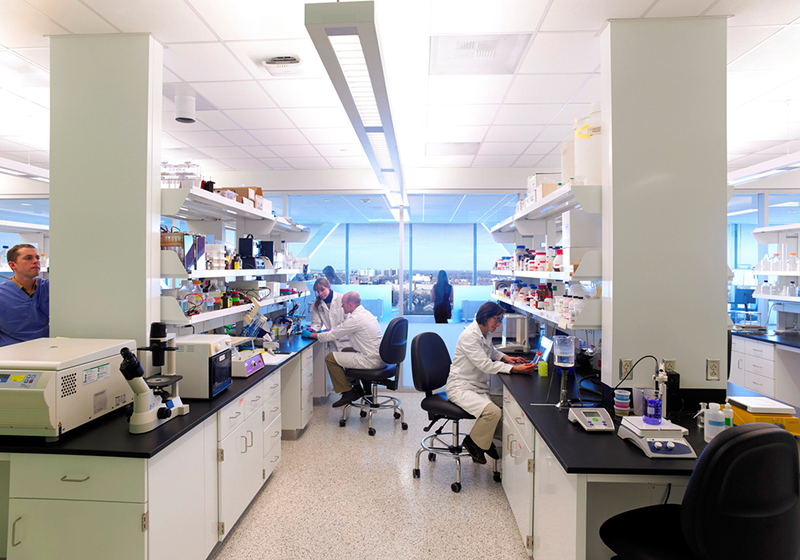 Successful modern R&D facilities can no longer be driven by lab design expertise alone. The GVI/CTRC required a remarkably synchronized design effort spanning leaders from science, higher education, healthcare, architecture, engineering, cost estimating, business consulting, interior design and construction management. 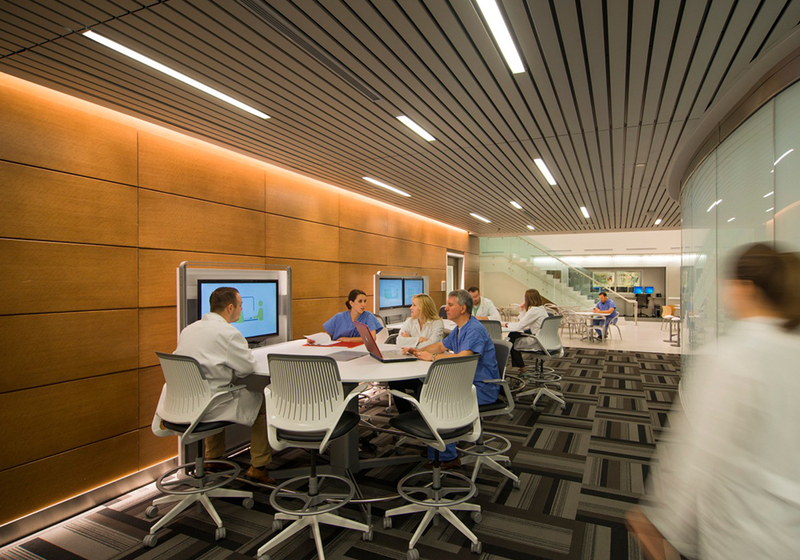 This diverse team helped Kaleida Health and the University of Buffalo move beyond an original plan that called for two separate facilities and realize the value of combining their resources in one facility. Once this breakthrough was realized, the team then worked with leaders from both organizations to enhance every aspect of this dual-client’s physical and enterprise success. At the core of GVI/CTRC’s success was the realization that myriad perspectives would need to influence the design in order to achieve optimal outcomes. Sandwiched between the GVI and the CTRC is a collaborative core containing education and conferences spaces, along with a 4,000 sf business incubator that allows doctors, researchers and entrepreneurs to meet in a variety of dynamic situations to accelerate medical discoveries. This creative design solution literally moves science from the bench to the bedside. Within GVI/CTRC, researchers can monitor real-time surgical procedures and then simply walk upstairs to begin testing ideas for new medical applications or products. Conversely, doctors are able to share challenges and needs with world-class researchers during opportunistic and informal meetings throughout the day. This culture of collaboration is enhanced further by open-plan laboratories that allow for increased flexibility, innovation and collaboration. 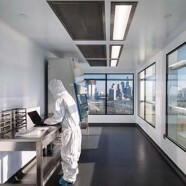 Open-plan laboratories eliminate the physical and figurative barriers between researchers and disciplines to promote the open exchange of ideas and cross-disciplinary collaboration required to best solve today’s medical challenges. 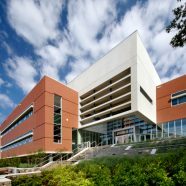 This is a visionary, translational place where – under one roof – physician scientists have the facilities and tools to conduct new forms of basic and translational research and are provided with the opportunities to commercialize their discoveries. – Timothy Murphy, MD, Senior Associate for Clinical and Translational Research for the University of Buffalo of the GVI/CTRC. Everything moves rapidly in the pharmaceutical world. The challenges faced, the solutions needed, emerging sciences and technologies all change constantly. The GVI/CTRC will be able to endure and thrive amidst this change thanks to the universal grid design application– a standardized structural grid consisting of the optimum set of vertical and horizontal dimensions for a building’s structure to allow for radical adaptability to medical, science and research functions. 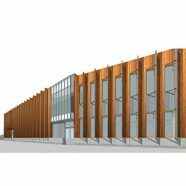 This grid makes GVI/CTRC almost infinitely adaptable and will significantly extend the building’s valuable life by accommodating the wide range of potential sciences and technologies it will need to support. 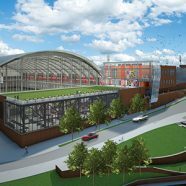 This prototype design strategy proved a key driver for the building’s fast-track delivery, under budgeted cost and achieves a reduction in the engineering needs of HVAC, plumbing and electrical systems operational costs by $10 per sf. All of these features will help GVI/CTRC deliver valuable ideas for global health at lower expense for the next century. The GVI/CTRC represents a breakthrough model for accelerating medical discovery that leading pharmaceutical companies should look to for guidance as they restructure their R&D departments and facilities. The future of the industry will be driven by those organizations that embrace new science and organize themselves to maximize its potential. GVI/CTRC is powerful look at where medical science is headed – and a guidepost for pharmaceutical organizations eager to lead the charge.